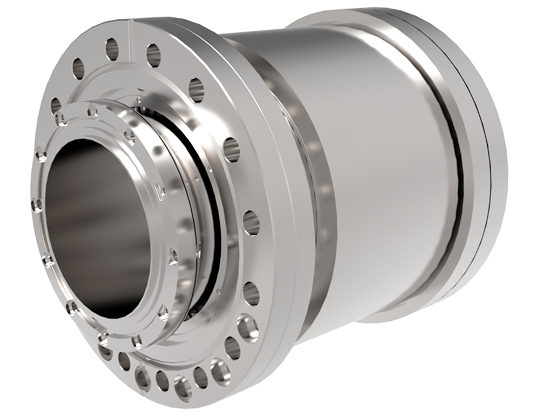 The four largest MagiDrive rotary feedthroughs are available in a hollow configuration, terminating with a non-rotating CF flange at the rear. 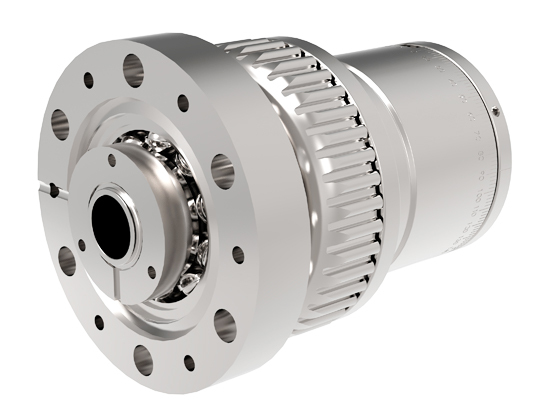 This allows services to be passed through the drive or, alternatively, an additional MagiDrive to be mounted to the rear, providing a secondary axes of rotation. 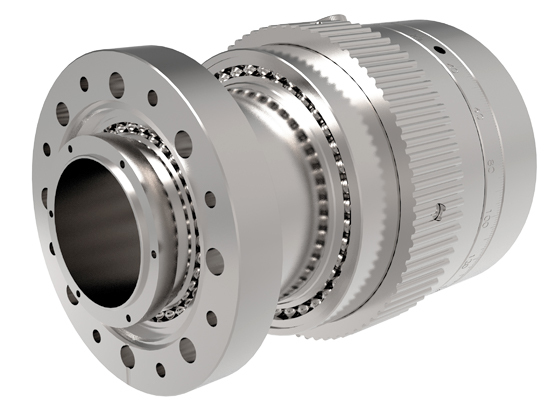 Up to four independent axes of rotation can be provided by combining the MD16, MD35H, MD64H and MD100H MagiDrives. 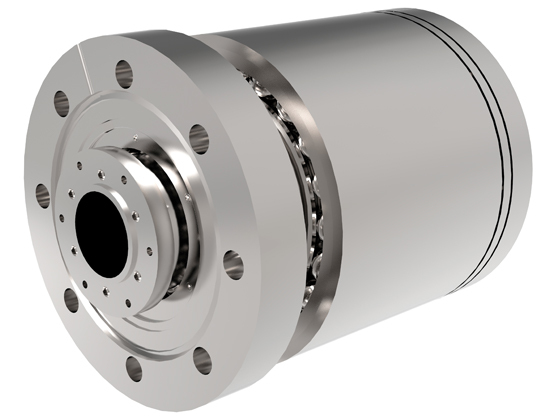 This stacking capability is typically used to provide simple solutions to sophisticated manipulation requirements. Allows services to pass through the centre, i.e. power feedthroughs, thermocouples, cooling tubes etc. CF40, 2.75" OD flange. 27mm clear bore. 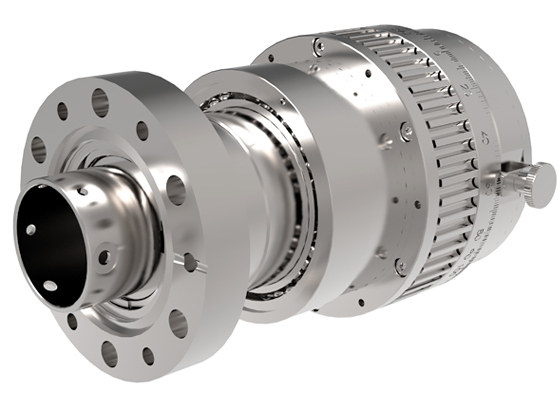 6Nm breakaway torque.